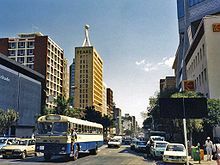 Before 1982 known as Salisbury, Harare is the capital of Zimbabwe. It has an estimated population of 1,600,000, with 2,800,000 in its metropolitan area (2006). Harare International Airport is 8 km from the city center.